Louisville Seminary has the distinction of being the only Presbyterian seminary that was supported both by the northern and southern branches of the Presbyterian church after they split during the Civil War. The current Louisville Presbyterian Seminary came about after a merger of Danville Theological Seminary (founded in 1853) with the seminary in Louisville (founded in 1893). One of ten seminaries associated with the Presbyterian Church (USA), Louisville Seminary is noted for its integration of the academic and the practical as well for its marriage and family therapy emphases. Louisville Seminary currently offers several master's-level degrees (MDiv; MA) as well as dual degree concentrations and a DMin (Doctor of Ministry). MA students may obtain concentrations in Religion (most academic components of the MDiv degree), Marriage and Family Therapy, and Spirituality. A concentration in Black Church Studies is also available at the MDiv, MA, and DMin level. 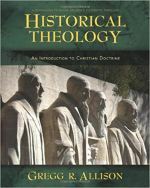 Students take courses in one of three area divisions recognized by Louisville Seminary - Biblical Studies; Theology, History, Ethics, and Religion; and Practical Theology. In addition, MDiv students are required to either complete a Senior Seminar or write and successfully defend a Statement of Faith of Ministry, which asks students to apply their understanding of their studies to the church and to practical ethics. 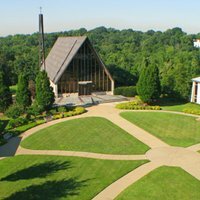 Students at Louisville Seminary have access to a multitude of activities and services both on campus and in the surrounding areas. The campus itself is located on a lush, beautiful 67 acres. The school makes a concerted effort to welcome not only students, but their spouses, children, and pets to campus. The campus holds an annual blessing of the animals each Fall for student's pets. In addition to on-campus activities such as potluck luncheons, seminars, bible study, and prayer meetings, students have access to nearby Southern Baptist Theological Seminary facilities such as the recreation center and health services. The campus itself also borders two beautiful parks where students can bike, job, and play tennis or golf. The seminary provides numerous housing units (including efficiency, studio, and one, two, and three bedroom apartments) available to students on a first-come, first-served basis. Some students will have to seek off-campus housing. Fortunately, the seminary is near affordable housing for students. Louisville offers very generous financial aid to students based on demonstrated need or academic excellence. In addition to need-based tuition grants, the seminary offers numerous "Scholarships for Excellence" based on a student's academic achievement or their promise for ministry.